Chemical solutions are used to remove skin cells and stimulate collagen remodeling, as well as to improve hyper-pigmentation, fine lines and wrinkles, and skin texture. 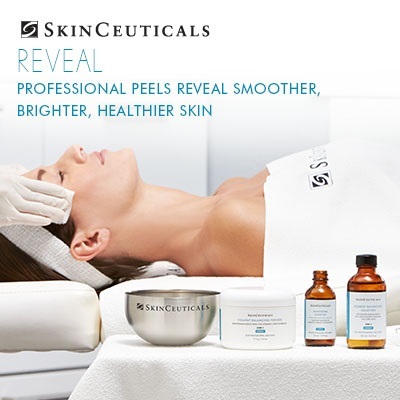 The SkinCeuticals Advanced Corrective Peel is formulated with an exclusive blend of clinical-grade acids and a maximized peel concentration of phenylethyl resorcinol to dramatically diminish the appearance of coloration, while smoothing texture and refining the appearance of pores, to restore a brighter, more clarified skin tone. For optimal results, a series of 4-6 treatments every 4 weeks is recommended. 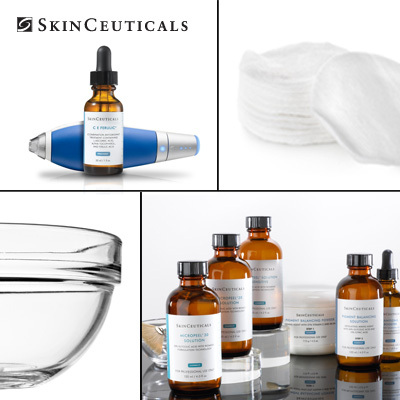 The SkinCeuticals Micropeel is a three-step clinical procedure combining dermaplaning (physical exfoliation), chemical exfoliation, and cryogenic therapy to reduce signs of photoaging including fine lines, wrinkles, dullness, and visible skin imperfections in a series of 4-6 procedures. The SkinCeuticals Micropeel is formulated to exfoliate, refine pores and accelerate cell turnover to reduce signs of photo-damage.